It’s no secret that kids, especially boys, are often fascinated by dinosaurs. Dinosaurs are real, but also fantasy in a sense, because none of us have actually seen them in real life. They are frightening enough to be exciting, but not frightening enough to be upsetting, because we all know that dinosaurs don’t exist anymore and can’t actually hurt us (Jurassic Park notwithstanding). This is a huge dinosaur that roars, walks, has eyes that light up, and shoots projectiles out of its mouth. No wonder it’s such a big hit! Update: I have recently discovered that a lot of people are having problems where there dinosaur won’t walk. I did some research on that problem and how to fix it. Scroll down to the bottom to find details to the problem as well as the solution. 2 Who Is The Fisher Price Imaginext Ultra T-Rex For? 7 UPDATE: Why Won’t My Imaginext Ultra T-Rex Walk? 9 So What’s the Fisher-Price Imaginext Ultra T-Rex – Ice? Who Is The Fisher Price Imaginext Ultra T-Rex For? I know some people don’t like it when you gender-label toys, but to me the Ultra T-Rex just screams “boy.” It’s ugly, it’s scary, it makes noise, it fights warriors, it shoots things. What more could a boy want? The age range listed is 36 months – 8 years old, but I personally think a three year old might be a little too young for it. For one thing, it has a lot of small pieces, and for another, it’s so large that it might be hard for a child that young to manipulate (and even possible that they might be frightened of it at first). Another thing to consider is whether is how well your child can handle a toy that shoot projectiles — would they be able to follow basic rules about when and where they are allowed to shoot them? I think this toy would be perfect for kindergarten through about fourth grade. 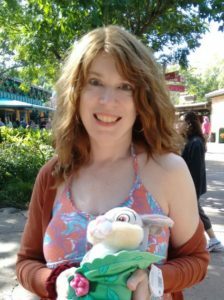 If you’re shopping for a very young dinosaur lover, you’ll want to check out my post about dinosaur toys for babies and toddlers. There’s a lot here to have fun with. Kids can use springs and levers to make T-Rex open its mouth or stand on its legs, and he can “walk” about two feet with motorized action. Different lights and sounds correspond to the different actions, including T-Rex’s roar and chomping sounds when he moves his mouth. He has a projectile claw, and both his mouth and boulder launchers in his chest can fire projectiles as well. The Ultra T-Rex does not move very well on the carpet, which is definitely something to consider. Also, did I mention that it is huge? It takes up a lot of space and is not easy to store. And, not surprisingly, this is a very expensive toy. Depending on your Christmas or birthday budget, this may be one to pass on, or decide whether it’s worth it to have less total toys in exchange for this one. The fun-factor here is pretty serious. For us, we noticed that the T-Rex was one of the few toys that received multiple interactions. Many of our toys are fun for a day and then end up in the closet of “unwanted things.” Not so here. I think it is the interactive quality of this T-Rex (his literal sounds, the multiple pieces, ect.) that entice the children back to the battle again and again. You won’t regret the bit of time to T-Rex requires to assemble it. And, as long as you have the spare room, it should never become another nuance toy. By all means, it IS tremendous fun! 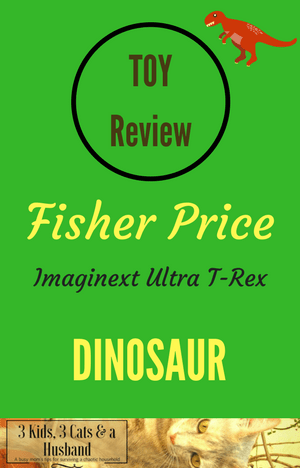 If you have the room and tolerance for a toy this huge and you know a boy who loves dinosaurs and likes a toy where he can set up pretend adventures and battles, this Fisher Price Imaginext Ultra T-Rex is definitely a toy to consider! UPDATE: Why Won’t My Imaginext Ultra T-Rex Walk? I did a little digging and found that this was, indeed, a common problem. People reported that their dinosaur did everything except walk. Every time the walk button was pushed, it turned itself off. I bought this for my son for xmas in October. Since I didn’t put it together till the night before xmas and guess what it doesn’t work. What’s worse is I can’t return it because it’s past the amount of time Amazon allows for returns. So my sons stuck with a toy that doesn’t walk like it is suppose to and I can’t fix it because it can’t be exchanged. What a huge disappointment. I searched online for a solution to this problem. I was hoping that I could find some sort of statement from Fisher Price, but I couldn’t. It was the battery pack. Have someone replace the rechargeable batteries with the same or slightly stronger rechargeable batteries. A lady at Fischer-Price suggested I find a hobbyist who likes to solve problems. I took my Spike to the local train store, where a hobby problem-solver examined him in great detail. Everything was working, including the little motherboard inside. He replaced the battery pack. Spike is alive again. Here is the charger I bought. I’m not sure which battery pack, but it may be the one listed on this Amazon page as “frequently bought together.” I can’t check it because I gave my Spike to a friend’s child. You might measure the pocket in your Spike to see if it would fit. I would also check with an experienced hobbyist at a train or hobby store to make sure the voltage is ok. So I hope that helps if you’re one of the unfortunate people who have had that problem. If you’re having second thoughts about purchasing the Imaginext Ultra T-Rex Dinosaur after hearing about this problem, I want to point out that over 200 people have left 5-star reviews on Amazon, so obviously more people are having great experiences with it rather than disappointing ones. So What’s the Fisher-Price Imaginext Ultra T-Rex – Ice? When I first saw this, I thought it was a different or updated version of the Ultra T-Rex toy, but it’s actually the same as the original but a different color — blue instead of the original bone color. So it’s really just a matter of preference. I suppose if you had two sons who both really liked dinosaurs, you could get each of them a different one and they would have lots of fun having dino battles together! I had this problem initially and it was apparently because of some cheaper dollar store batteries that just I guess didn’t have enough power somehow. Put in fresh energizer batteries and it worked fine. Also probably needs to be on a flat, smooth surface. It only walks a few steps before stopping. I hope this post has helped you make an educated decision about the Fisher Price Imaginext Ultra T-Rex. If you have any experiences with it that you’d like to share — especially on the “not walking” issue — please leave them below in the comments!